Denyse Mackey is Vice President, U.S. Technology Support Services, Business Partners, IBM. 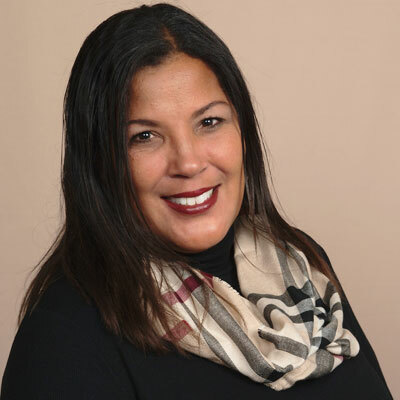 As a 28-year veteran of IBM, she has served more than 10 years in executive sales leadership roles, leading multiple areas of the channel business, including U.S. business partner channel sales for hardware, North America software channel sales, worldwide software channel sales and infrastructure services channel sales. While in her worldwide software channel role, Denyse was recognized by CRN in the Top 100 Most Powerful Women in the Channel. The past year has been a transformational journey to transition our partners' maintenance sales business to a consultative client leadership position. Our partners are now tackling critical client pain points caused by the complexity of maintaining a heterogeneous hardware and software environment. We believe this transformation is critical in driving a robust revenue annuity stream for our partner ecosystem. I have two goals that go hand in hand. First, I want to improve the speed of price quoting while simultaneously empowering business partners to be in control of their own margins when unique pricing is required. Second, I want to deliver revenue growth with partner margin expansion by expanding our support capabilities both in and outside the data center. By leveraging IBM's service delivery capabilities, our partners can support hospitals, retail stores and bank branches' IT equipment. The ATM marketplace alone is a huge opportunity for IBM business partners, with a U.S. marketplace of 10 billion dollars! I admire the women portrayed in Hidden Figures (Mary Jackson, Katherine Johnson, Dorothy Vaughan) - they are my sorority sisters! The film was a box office hit that covered every aspect of my life as an African American woman, mother, IBM technologist and esteemed member of the first African American Sorority incorporated in 1908, Alpha Kappa Alpha. Realize that achieving what you want is never easy - but it's worth it. Keep your head down with drive and focus to achieve your goals. If the plan doesn't work - change the plan, but never the goal. Know that mistakes just prove you are trying. Blend out, not in. And, as my pastor says, "Circumstances don't make you who you are, they reveal who you are." IBM is encouraging executives to learn how to code. Not that it will directly help us do our 'day job' but the thinking is that we'll learn to appreciate the methodology behind coding, the power of the skill and the logical thinking process. I intend to do it with my young daughters, so that I can inspire them along the way in my continual lifelong learning journey.